[Akihabara branch 10 days limited] A chance to enjoy the popular premium course at a discount of ¥ 1,000! Over 100,000 hits in half a year! 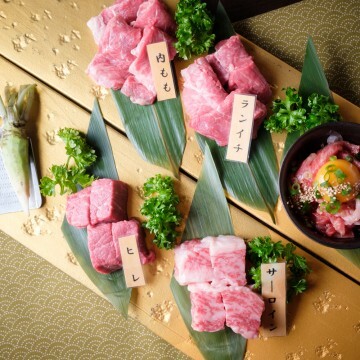 "The best grilled Wagyu beef sirloin sushi" is very popular. Japanese beef sirloin sushi is very popular along with “Sendai beef tongue”, a specialty of “Yakiniku Isshin Tansu”, which has a huge popularity with all-you-can-eat beef tongue. Excellent compatibility with thinly sliced marbled sirloin and fresh vinegar rice. By adding "truffle salt" using the world's top three delicacies "truffle salt", flavor is enhanced and it becomes the best harmony. To its taste, some customers average 8 to 10 per person per person, and many customers have nearly 100 percolated. Not only the taste, but also one of the reasons for the popular production. Take photos and videos to enjoy it in order to complete it in front of the customer. 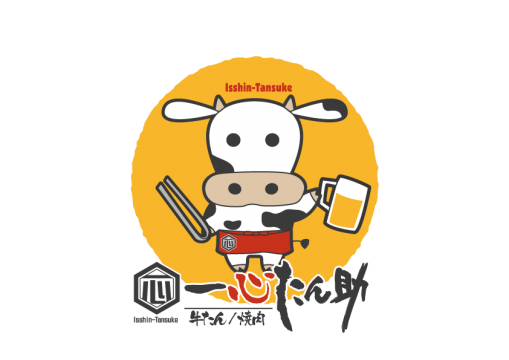 Since the launch of the Wagyu Sirloin Sushi at Akihabara Store, we have topped 100,000 in half a year. In commemoration of this, we will offer a campaign offering premium courses for 3,980 yen (tax not included) at 10 pairs a day at Akihabara store . Please try this opportunity. ※ At Akihabara Store, the price will be limited to 10 pairs a day. We will take the order in which you made the reservation. ※ Please be sure to say "3,980 yen campaign hope" when making a reservation. If no offer is made at the time of booking, it will be offered at the regular price (4,980 yen (excluding tax)). ※ The above can not be replaced due to service. 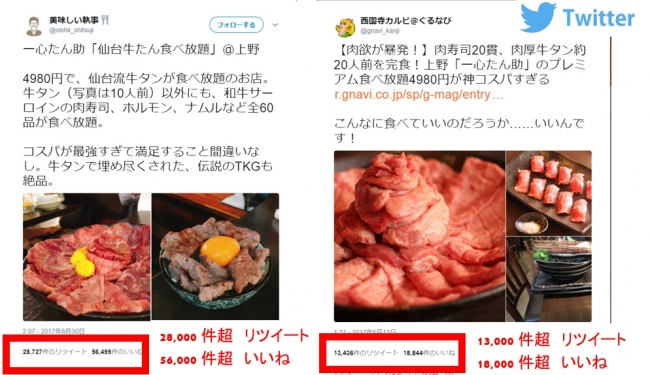 ※ The type of meat may change depending on the stocking situation. ※ The Ueno Store also offers "Premium Course", but the contents are different. 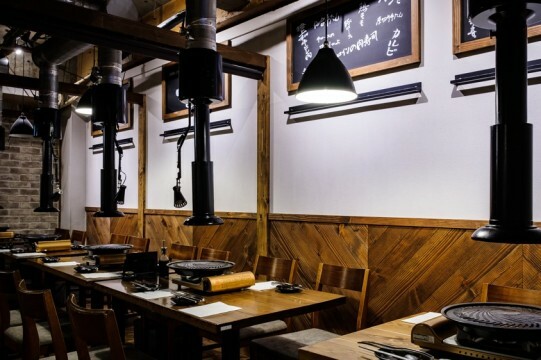 All-you-can-eat grilled meat "Yakiniku Isshin Tanshin" Ueno Main Store, which opened in Taito-ku and Ueno in 2014. Information was spread on Twitter in June 2017, and its popularity surged. With much support from Twitter users, there were more than 28,000 “tweets” and more than 56,000 “likes”. At the same time the information on “Yakiniku Isshin Tanshin” spreads on Twitter in a blink of an eye, we received many reservations from customers. Even now, we receive many SNS posts from customers who visit us, and the shop interior is always full. ※ It is contents at the time of contribution. 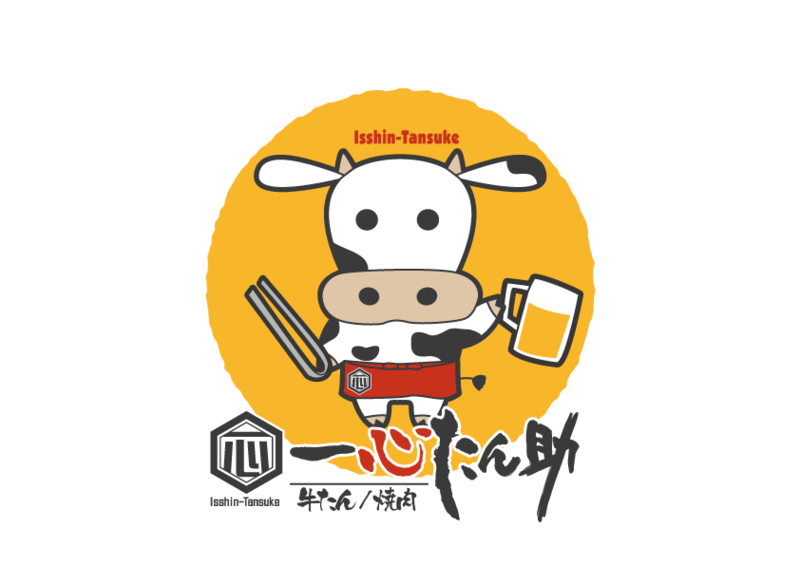 "Yakiniku Isshin Shinsuke" offers a variety of beef tongue "Sendai beef tongue". The carefully selected ingredients and careful preparation work will complete a soft and rich beef tongue despite the thickness. 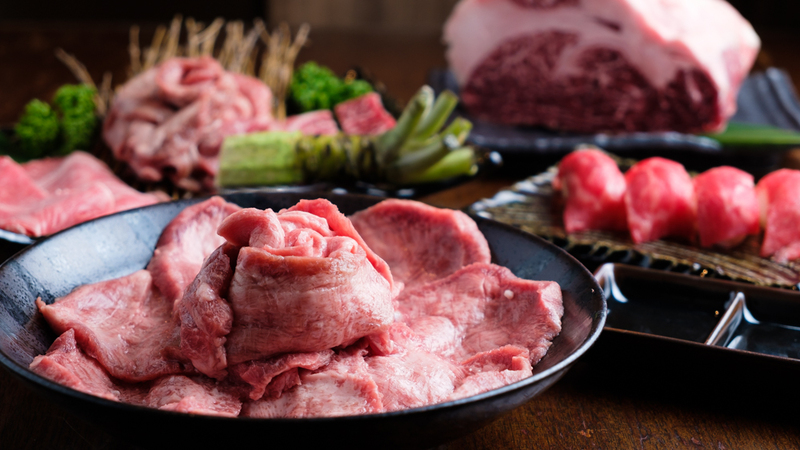 When ordering "Sendai beef tongue", we will bring in "Rose heaping" that resembles a rose flower for more than 6 people upon request. As it is a glamorous, SNS shine outstanding one plate, please take a photo and enjoy it. ※ Our "Sendai beef tongue" uses American origin. 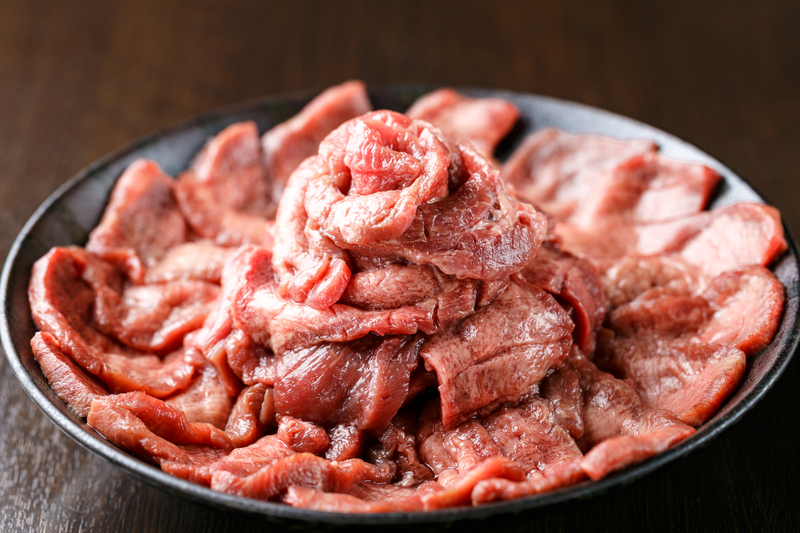 The tan is prepared by a method based on "Sendai beef tongue". ※ The picture is for 10 people. The all-you-can-eat beef tongue course has evolved! Ueno Main Store Limited "Yakiniku Isshin Tansuke" Full-fledged "Specialty Japanese Beef Course"
Add a special platter of special cuts such as "super-thick extra-thick beef tongue" with excellent crunchyness, and "Japanese peach," "Ranchichi", "fillet" and "Sarloin" steaks of Japanese black beef “Special Japanese beef course”. 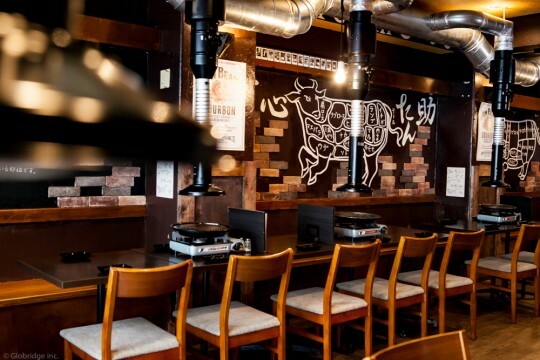 Recommended for those who want to taste rare meat other than Sendai beef tongue. In addition, we have an all-you-can-eat menu for aged beef and beef tongue, and for aged beef and beef tongue sushi, which can only be tasted at this “special Japanese beef course”. 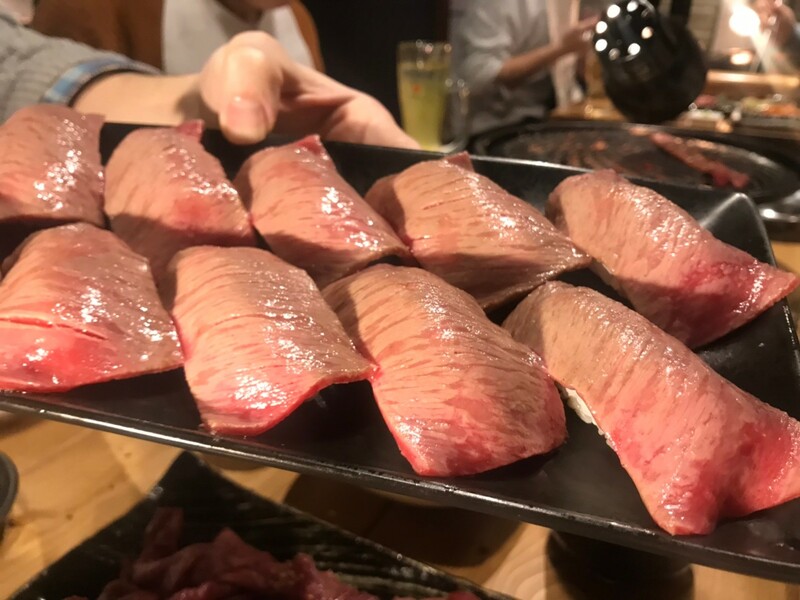 Please enjoy beef tongue fully in the all-you-can-eat course of the evolved "Yakiniku Isshin Tanshin", which also includes the "Yakiniku Isshin Tanshin" original 3 kinds of "Meat stabbed beef tongue". ※ The above 6 types can not be replaced due to the service arrangement. 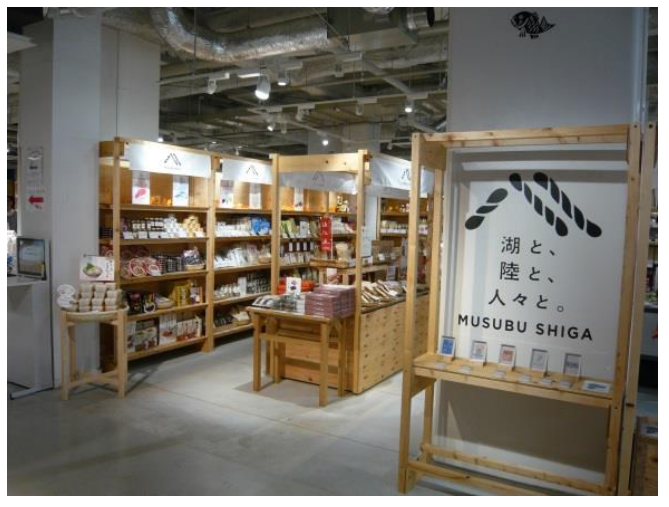 ・ More than 40 kinds of snacks, vegetables, desserts, etc. ※ Reservation required until the day before. Globridge Co., Ltd. is promoting “SCM (Store Change Management)” in which each store offers a unique service according to the needs of customers. In addition, as a management philosophy, "production of entrepreneurs" and "food industry renovation" as the purpose of business, we aim to provide safe and reliable food products deliciously.